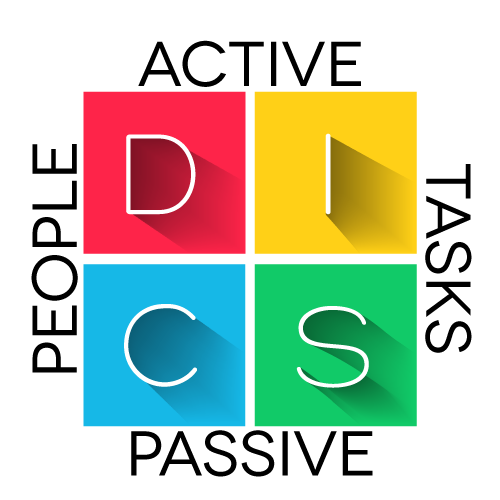 DISC is a quadrant based behavioral model based on the work of Dr. William Moulton Marston (1893–1947) to examine the behavior of individuals in their environment or within a specific situation. It therefore focuses on the styles and preferences of such behavior. In his work he defined the four behavioral styles as: Drive, Influence, Submission, and Caution (DISC). For most, these types are seen in shades of grey rather than black or white, and within that, there is an interplay of behaviors, otherwise known as blends. The determination of such blends starts with the primary (or stronger) type, followed by the secondary (or lesser) type, although all contribute more than just purely the strength of that “style”. These four styles became the building blocks to the modern day DISC assessment. However, Submission was renamed Steadiness and Caution was renamed Compliance. Although Marston built the groundwork for DISC in the 1920’s it wasn’t until the 1940′s that an actual DISC Personality Test / Assessment and Profile was created by Walter V. Clark, an industrial psychologist. Clark had studied uner Marston as a graduate student at Columbia University. During this time he learned of Marstons DISC Model. During his career as an industrial psychologist, Clark modified the terminiology of DISC and created the Activity Vector Analysis (AVA) assessment for hiring needs. These four styles can be grouped in a grid with “D” and “I” sharing the top row and representing extroverted aspects of the personality, and “C” and “S” below representing introverted aspects. “D” and “C” then share the left column and represent task-focused aspects, and “I” and “S” share the right column and represent social aspects. In this matrix, the vertical axis represents a factor of “Active” or “Passive”, while the horizontal axis represents “Tasks” vs. “People”.